Looking for a fun outdoor activity during your Boston trip? Freedom Trail Run run will show you all of the sites while you enjoy a fun workout. Come join us! We meet on Boston Common and run a 5k course through Boston’s historic district. We run from site to site stopping for 4-5 minutes at each landmark to explore/take pictires. Since we stop 16 times during the run, runners of all abilities can participate. 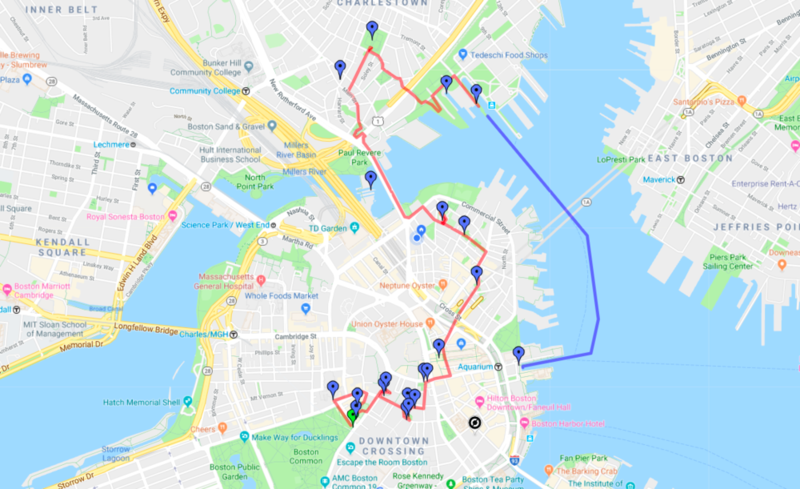 We meet on Boston Common and run a “point to point” 5k course that ends at the Charlestown Navy Yard. After we finish and stop to rehydrate, we board a harbor ferry that takes us back to Long Wharf in Downtown Boston. The entire tour takes two hours. Our guides are 100% focused on making sure that you have an awesome time! This is our 10th year in business and we can’t wait to show you our city! We look forward to running with you!